We’ve slid gracefully into a daily routine here in Positano helped by some warm temperatures and sunny days. If there is no pressing urge to sightsee then our day consists of a slow start at the villa, a quick trip to the shops if anything is needed and an afternoon spent around the pool at Eden Roc. On the way back to the villa we stop at the Galli Bar for a drink and a stracciatella gelato for the walk home. The evening means a dinner out at Chez Black or Bruno, or if we can’t be bothered going out a quick cena (dinner) at home looking out across the bay. For the northern summer of 2011 our life consisted of doing very little – but doing it very well. 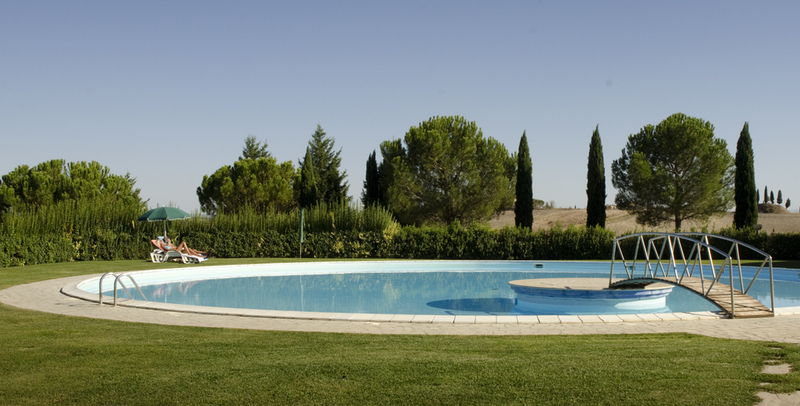 On the fine sunny days – pretty much every day between May and October – we spent time at our villa pool. And after a hard afternoons sunning and swimming it was a short walk back to the cottage for a G &T, a beer and some time to recover from the stress of the day. The complex has ben really busy over the last few weeks. Guests are coming and going and we have had a great mix of nationalities – Dutch, Italian, the ocassional Brit and, of course, the Germans. One day recently Jean and I headed to the pool for an afternoon of swimming and relaxing to find that, when we got there, every lounger was either being used or was empty but with a towel drapped over it – clearly the European sign for “reserved”. It reminded me of a UK TV commercial that aired in the early 1990’s about this very subject. Enjoy. Daisy has taken up a fair bit of our time lately, but prior to that we managed a bit of pool time. It was the only way to keep cool in the 35 to 40 degree heat. 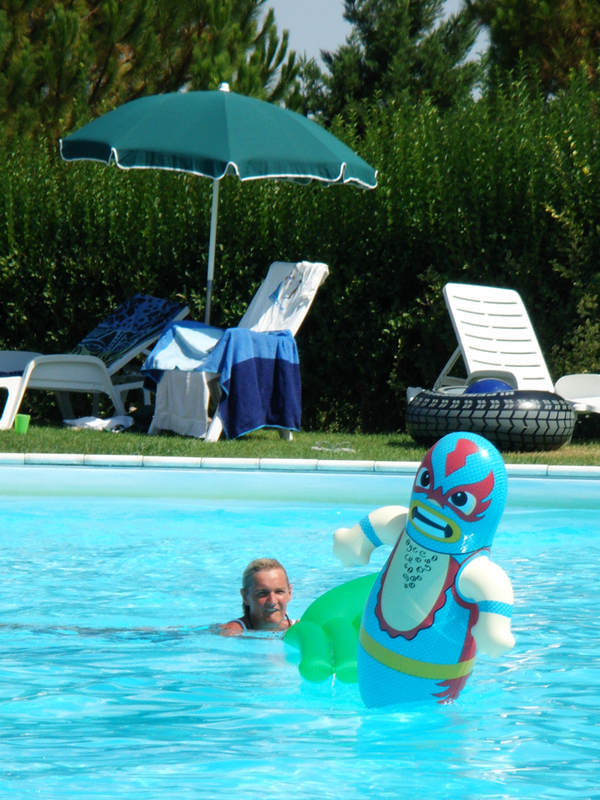 Clearly in Europe everyone turns up at the pool with some form of inflatable toy to amuse themselves. 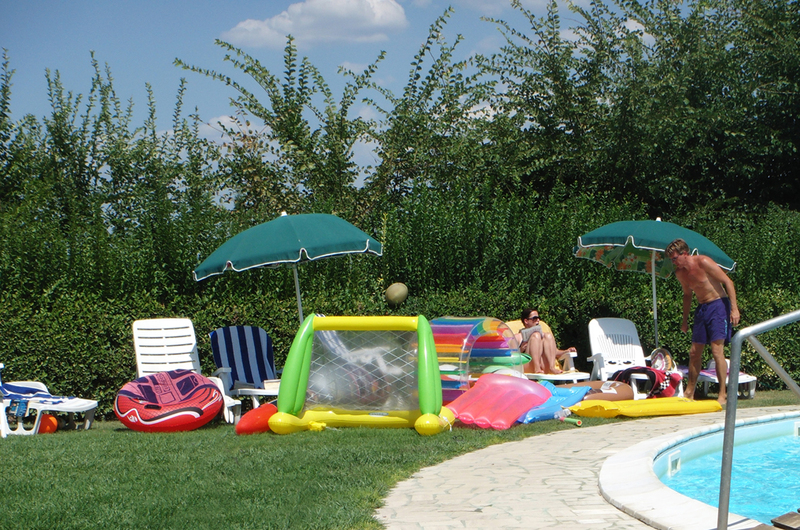 Often there are so many toys in the pool it’s difficult to find a spot to swim. Not to be outdone Jean splashed out (excuse the pun) on a lilo. All of 5 Euro at the local inflatable pool toy store. The man who sits by the pool has made a wee movie showing Jean in action. Please note, the ocassional swat at the water is simply Jean avoiding wasps, bees, bugs, etc, that have made their way into the pool. Never let it be said that Toscanakiwi doesn’t respond to it’s readers comments. The recent post about our day at the beach raised a number of questions. I didn’t have a photograph of the Ferrari yesterday but “Tina of Texas” wanted to see the car. 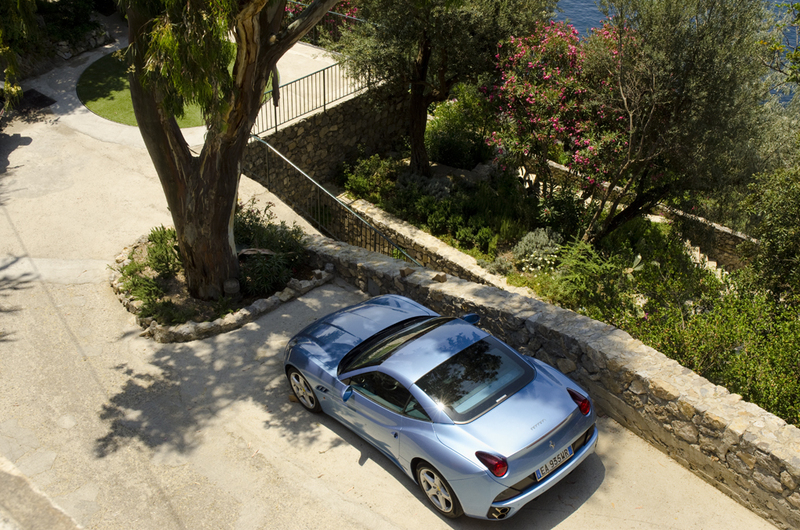 Today I wandered up the road to take a shot and, being Italy, the car was still there. In fact it hadn’t moved an inch. What you can’t see from the photo is the steepness of the drive the car is parked on. 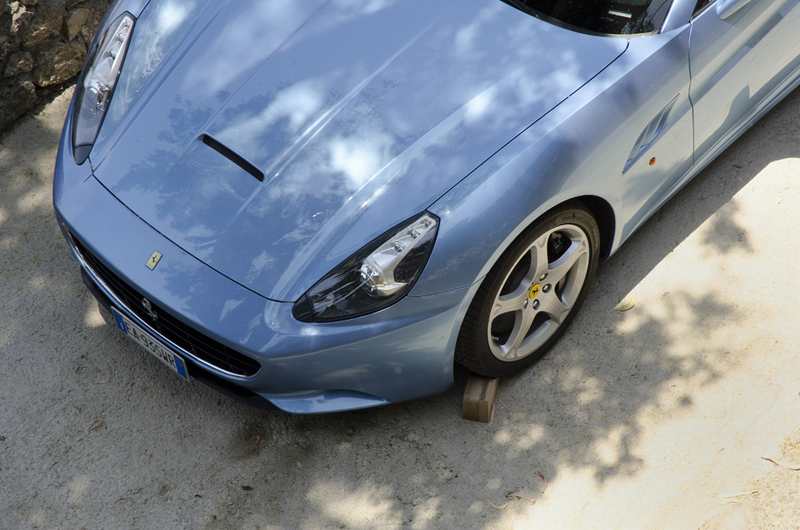 Clearly the car’s owner doesn’t trust the handbrake and has used what I assume is a Ferrari aftermarket accessory to ensure the car stays put. Obviously it must be a Ferrari branded brick although I couldn’t get close enough to confirm this. The turntable is covered in a very stylish faux grass finish. Not really sure the logic of this but I guess it’s an Italian thing. Geoffman asked about the makeup of the beach. Asienzo beach is mostly a pebble beach. There is a small area of sand but from where we were it was a stony walk to the water. Also the stones were incredibly hot so part of the entertainment was watching people do a funny little dance when a stone or two worked it’s way into their shoes or sandals. From experience I can say – ouch.